Rodriguez Jr. sat down with Rolling Tuff for a chat about how he got his name, his new upcoming live show and the latest EP on Mobilee. You can read the full interview over on Rolling Tuff. 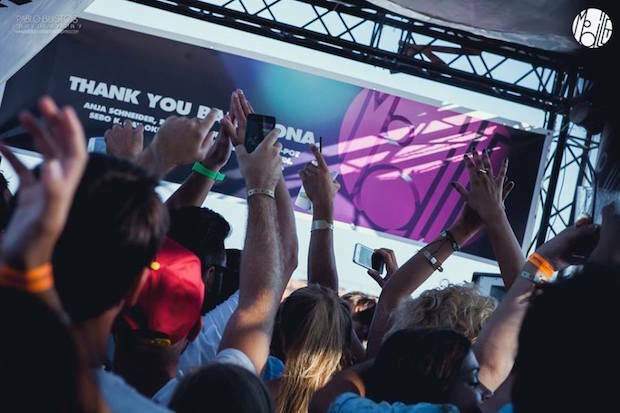 Mixmag joined us in Barcelona over the summer to check out one of the #LetGo rooftop parties where they caught up with Anja Schneider about the special relationship that Mobilee has with the city. You can read the full article in the latest edition of Mixmag. After premiering 'Carpet Sneak' on XLR8R earlier in the week, Gel Abril has premiered another track from his 'It's You And Me' EP on Pulse Radio. Marking his first entry onto the label since joining the roster you can stream 'When It's Just You and Me' on the Pulse Radio website. Don't forget to grab you copy of the EP which is available on Beatport now! Gel Abril has premiered his track 'Carpet Sneak' on XLR8R. The track is part of his upcoming 'It’s Just You and Me' release on Mobilee which hits stores today. The release marks his first entry onto the label after officially joining the Mobilee crew. You can stream the premiere track over on the XLR8R website. Lee Van Dowski has made his edit of Madonna's "Justify My Love" available for download. The edit which he has been using lately in his DJ sets can be download for free in high quality on his Soundcloud page. Heidi invited Anja Schneider on her BBC Radio 1 Residency series for a chat about Anja Schneider Invites at Steelyard in London on Oct 3rd. You can stream the whole radio show over on the BBC Radio 1 Residency page.